Hello to all in the Hunter Valley. I know everybody, including myself, is pretty busy leading up to Krismas but what are the chances of a get together before the big day? Maybe even get a bit wild and partake in something a little stronger than koffee! If anyone is interested lets kick it along. when and where Gaz? Next weekend ( 20-21) is difficult for me. but will try and fit in where I can. I'll be arriving in Newcastle late Sunday 21st for a few days. Would be great to meet up with the Hunter chapter. Hi all, sorry I've been quiet for a few days - we lost our internet connection at home after the storm last Wednesday evening and it has just been repaired this afternoon; another example of our inefficient Telstra (I'm not a fan but they have a monopoly on country wide coverage). These last few days I've been limited to the occasional look at the forum on my phone. Anyway on with the business! I am free on Saturday and Mon, Tue, Wed. Ruth and I are happy to make our place a meeting spot. Beverages here include espresso koffee and tea (hot or cold which we enjoy through summer) or soft drinks. If the sun is over the yardarm I can be persuaded to serve beer or wines. I'm sure we can add some nibbles to go with the beverages. I probably lean towards a mid afternoon time but if any of the above appeals then give us your thoughts. With Krimas day being on Thursday I thought it might be possible that some of the working contingent will complete their work commitments this Friday leaving early next week as a possibility. If any of the krew are limited in their movement e.g. anyone with a fused ankle, I would be happy to collect them in the car. The weekend, 20/21 is no good for me. Other than that.... PS, I'm currently quite mobile re: driving the car, its automatic, and the left ankle is Kaput. I can make it tuesday at 7pm. Good on you Ed. How many others can fit in with Ed or propose a different time. Hi Guys, sorry to be such a pain but some family matters have come up this evening that means I am unlikely to be around much between now and new year so have to withdraw the offer of meeting at my place. Hope some of you can get together over the festive season. I'll have to buy you all a beer when I can catch up in 2015. 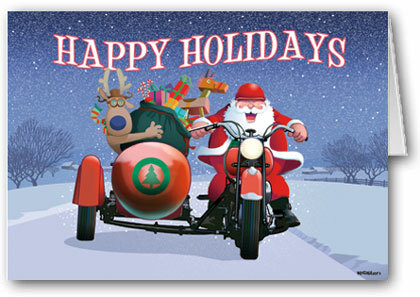 If we miss each other for Xmas , heres a big happy holidays to all on the forum . thanks for another fun filled 2014 , and will meet again in 2015.
groverK wrote: I can make it tuesday at 7pm. a fellow forum member is passing through our way on tuesday evening, (this being the only time we can co-ordinate it )our plan is to meet at Hexham Maccas at around 5.30 to exchange bits and pieces. However it may be possible to convince him to change to Ozzie Mozzie just up the road , where a drink could be shared. I'm sure he wouldn't mind meeting up with extras.